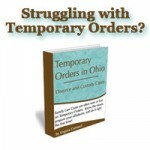 To view Portage County Ohio’s Domestic Relations Court standard visitation order, you have to download their local rules. The file is LARGE, and will take you several minutes to dowload. The standard visitation scheduled is contained in Local Rule 19, entitled Shared Parenting or Change of Residential Parent. Click here to download the entire local rules (sorry folks, it is scanned as one huge image by the folks in Portage County – but hey – don’t shoot the messenger – at least they have it on the internet for you!